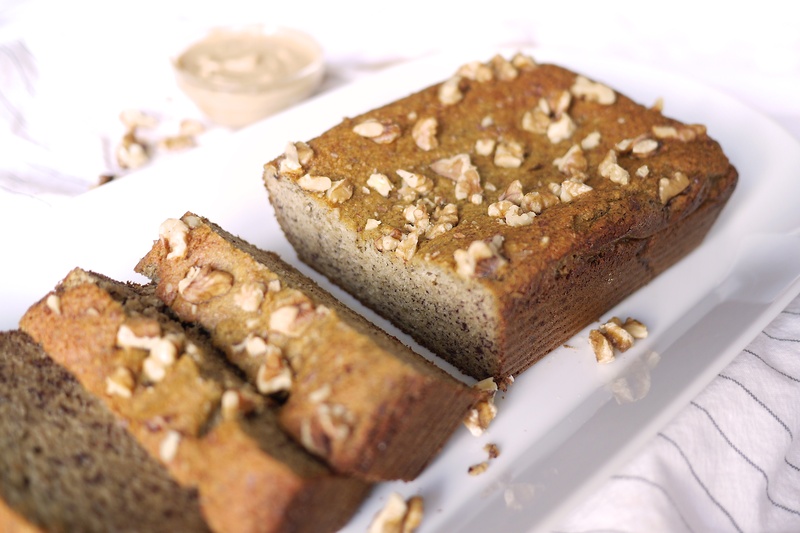 Whether you’re officially gluten free or not, you will LOVE this banana bread recipe. Promise. 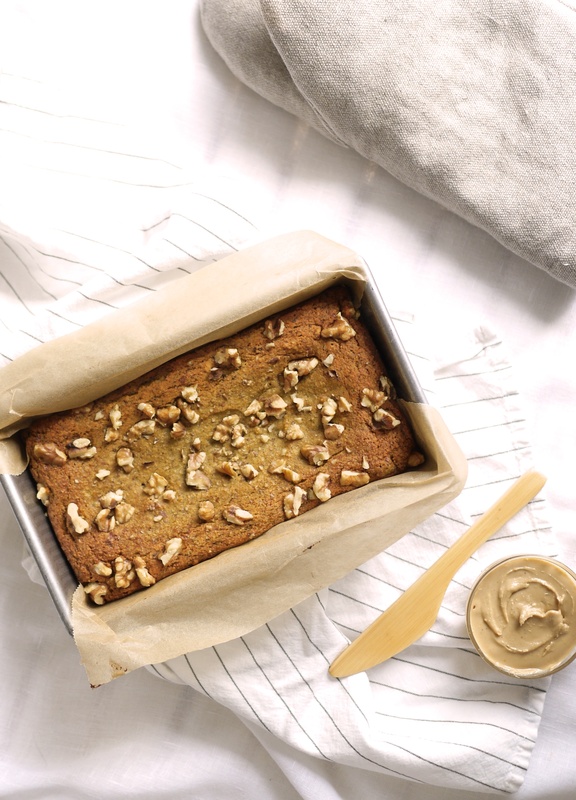 Not only is it super easy to make and includes only healthy, whole ingredients but it’s so moist and delicious that you really won’t believe it’s free of gluten, dairy and refined sugar. 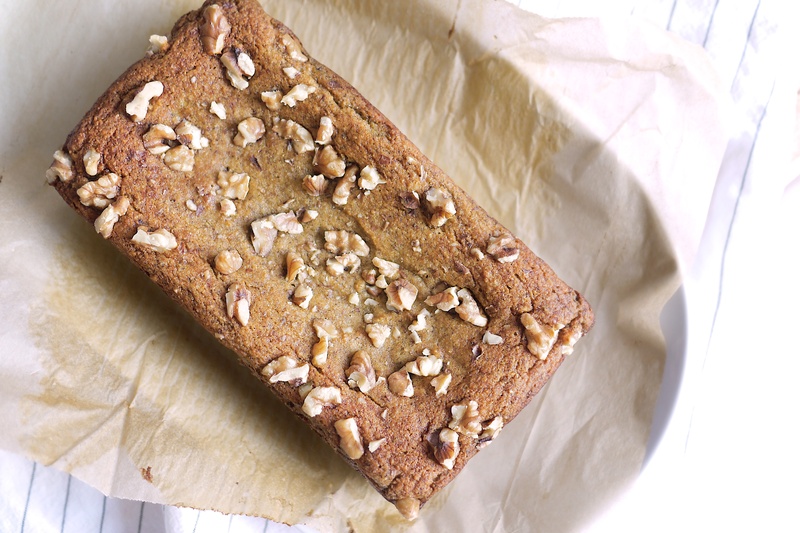 It’s full of healthy fats from a nice glug of avocado oil, it’s got protein from the eggs and lots of fibre from the almond flour and those delicious, ripe bananas. 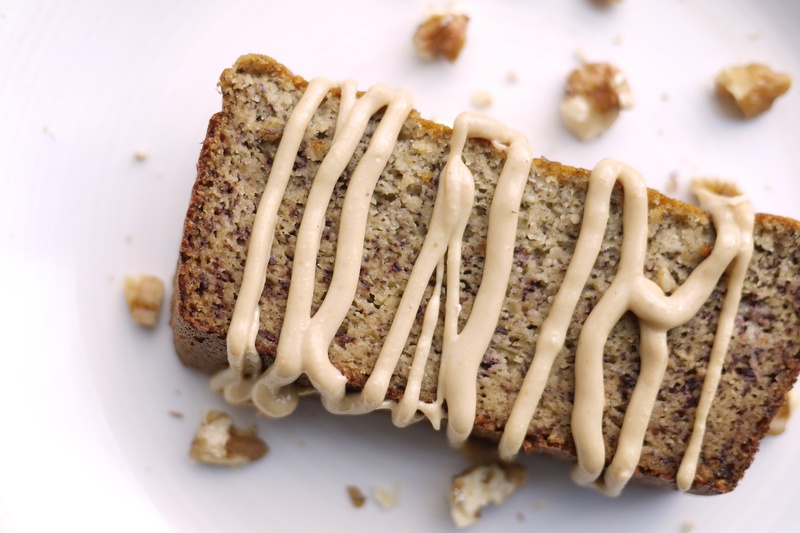 So, this banana bread is actually a satisfying and balanced snack even though it tastes like a dessert. And guess what? Besides those nanas, the only sugar in this whole, beautiful loaf, is a mere tablespoon of raw honey. Raw honey, people! This is truly a loaf to love. You can use coconut oil or organic butter instead of avocado oil if you want. Both hold up well under higher heats. I chose to do avocado oil this time out because it’s been anointed an official “food trend” for 2017. I do love when healthy foods (that have usually been enjoyed elsewhere for thousands of years) get the attention they deserve. If it helps turn you on to a new super food, I’m on board. So, yeah, avocado oil. Try it! And, just so you’re not disappointed, I will tell you in advance that this loaf will not rise up in the middle the way a typical banana bread does. So, don’t worry that your bread isn’t fully cooked if it looks flat on top after the recommended baking time. As long as an inserted toothpick comes out clean, it’s done to perfection! I’ve added walnut on top here, but you can add any nut you like. If you’re into experimenting, you can add all sorts of things to the recipe like chocolate chips, coconut flakes, blueberries, shredded carrots…but you will have to play around with the amount of wet vs dry ingredients to get it the right consistency. My advice: start with this basic recipe and go from there! Preheat oven to 350F and line a standard-sized loaf pan with parchment paper. In a food processor, add wet ingredients: bananas, eggs, vanilla, honey and avocado oil. Pulse to combine. Pulse in dry ingredients: almond flour, baking soda and salt. Pour batter into lined loaf pan and bake on middle rack of oven for 55-60 minutes until browned on top and toothpick inserted into the middle comes out clean. Remove and allow to cool at least 10 minutes on a wire rack before slicing. This loaf holds up well in the fridge for about a week. Just make sure to let it cool completely before wrapping it up for storage to avoid condensation which will make the crust soggy. I love a slice reheated in the toaster oven with a drizzle or spread of nut butter. I’d love to see your healthy creations! 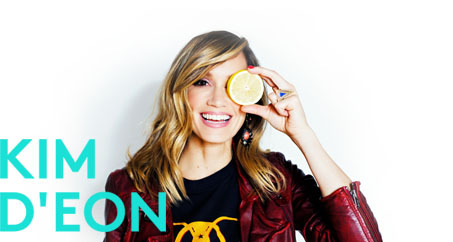 Post up your food pics on instagram and show me your stuff and tag me @kimdeoncom!